A political analyst says Trump’s non-compliance with the Iran nuclear deal may prompt the North Korean leader to distrust the US and abandon negotiations with Washington. North Korea suddenly announced that it would stop talks and cancel a meeting with South Korean President Moon Jae-in, ending the happiness and joy of the United States and its allies, i.e., Seoul and Tokyo, fueling uncertainty over whether or not Pyongyang has actually trusted US President Donald Trump, the epitome of evil and breach of promise. The North Korean Foreign Ministry has attributed the cancellation of negotiations with Seoul to the United States’ excessive demands, and announced that the White House has not stopped pressuring and making harsh remarks against Pyongyang despite recent talks between the two Koreas and a thaw in relations and even the emergence of signs of rapprochement between the South and North Korea. The White House National Security Advisor John Bolton made humiliating comments about North Korea as the US and South Korea were going to hold joint military exercises, which are against Pyongyang in nature. He said North Korea mustn’t dismantle its missiles and atomic weapons inside the country; rather, Pyongyang should hand them over to the US! 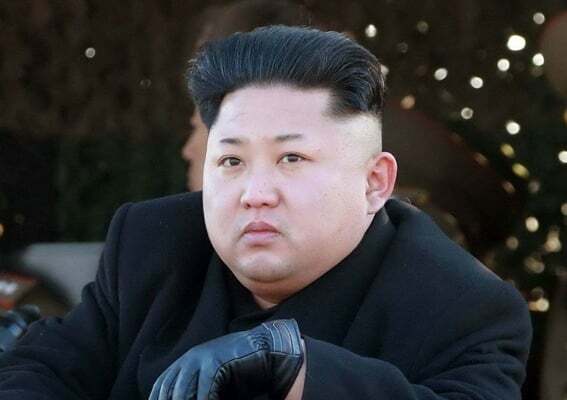 Anyway, North Korea has reiterated that it would not destroy its nuclear weapons in return for trade with the US, and that Pyongyang may suspend talks between North Korea’s Leader Kim Jong-un and the US and South Korea. To what extent should we take the remarks seriously? Is the announcement by North Korea really because of Washington’s excessive demands, or is it that North Korea had no intention of dismantling its nuclear weapons from the very beginning? Put it simply, were all the meetings and talks between the leaders of the two Koreas just a show?! In the current article, we will be trying to find logical answers to that. The first hypothesis is that North Korea had no intention of dismantling its nuclear arms and facilities from the very beginning. The reason is that Kim Jong-un is not a naïve and immature young man like Mohammed bin Salman despite all anti-Kim propaganda. This can be understood by reviewing the trend of North Korea’s talks with its enemies over the past months. Kim, who is just more than 30 years old, drew on the history of winter sports events in South Korea to kick off very good talks. The most important message of the talks, at least until now, has been to send a message to the world that North Korea is not an isolated country and favours logic and dialogue. North Korea has made headlines across the world over the past months. Secondly, the North Korean leader knows well that South Korea, Japan and even the US, with the economy and status that they have, have much to lose if war breaks out between them, but North Korea does not have much to lose! A threat or nuclear test by North Korea would disrupt these countries’ stock exchanges and seriously challenge their economies. When Kim says in his first meeting with the leader of South Korea, a key US ally, that “Don’t worry any more, you will get a good night’s sleep from now on,’ he knows well that his southern neighbour cannot sleep at night fearing Pyongyang’s nuclear power. Thirdly, the survival of North Korea and its people is based on these very nuclear arms and military might. Pyongyang has no doubt that if it were not a big military power, it would have been swallowed by the US long ago. So, it does not seem logical at all that this country would accept such a risk and destroy its nuclear and deterrent arms in front of the United States, especially when the US is led by a person like Trump, who easily reneges on his commitments. Another hypothesis is that we should accept that North Korea did actually intend to sit down for talks with the US and its allies due to the harsh sanctions imposed against it, but decided not to continue the talks due to the reasons mentioned below. If we regard this hypothesis as true, we should see what special incident could have happened since negotiations between Seoul and Pyongyang started, an incident which could have made North Korea lose its half-baked trust in the US and dissuade it from continuing the talks. The events which happened during that period include the continuation of threats against North Korea, the continuation of joint maneuvers by the US and its allies on the Korean peninsula, US authorities’ humiliating remarks against Pyongyang (such as the comments made by John Bolton about North Korea’s nuclear weapons), and more importantly, United States’ breach of commitments and its withdrawal from the JCPOA. Every one of the above-mentioned events could have increased North Korea’s distrust of the US and prompted it to leave the negotiations in the middle of the way. Nevertheless, it seems the most important reason that could have made Kim abandon the talks is Washington’s non-compliance with the JCPOA, which led to ever-growing mistrust of the US. A senior US senator says Trump’s pullout from the JCPOA proved Iran’s argument that the US is unreliable. In the case with North Korea and the US, there is no “Europe” involved. So, Kim cannot say, like some people in Iran, that he will continue with Europe if the US pulls out. Seoul and Washington have identical positions on North Korea. Both say the same thing and pursue the same objective. So, by taking a look at the developments surrounding the JCPOA, Pyongyang has probably arrived at the conclusion that if it dismantles its nuclear weapons, which serve as a deterrent, there will be no guarantee that the US will not violate its obligations. Moreover, Pyongyang knows that destruction of its nukes equals the destruction of North Korea! And the third hypothesis; maybe the reason North Korea abandoned the talks is what it has officially announced, i.e., growing pressure and threats against Pyongyang by the US and its allies amid negotiations, and humiliating comments like the ones made by John Bolton as well as the war games which were supposed to halt with the start of the talks. North Korea has witnessed such behaviour and, hence, has decided to abandon the negotiations. Before halting the talks, North Korea released several American prisoners and began to dismantle key installations related to its nuclear tests as a goodwill gesture. It seems the first hypothesis is closer to reality, i.e., North Korea had no intention of dismantling its nuclear weapons and missiles from the outset. The reason for this claim is what we mentioned earlier. The survival of North Korea depends, more than anything else, on its military might and deterrence capability. Moreover, the part to the talks with Pyongyang is someone like Trump. Kim also has the JCPOA in mind; so, Pyongyang will not risk dismantling its nukes in exchange for trade with the US. Moreover, North Korea, with the features it has today, is one of China’s key levers to pressure the United States. Furthermore, North Korea’s economy is heavily dependent on China. Beijing will definitely not lose this lever easily, no matter what it says in word. Now, it begs the question why North Korea entered into talks if had no intention of dismantling its nukes? In fact, North Korea’s young leader cashed in on Trump and his associates’ foolishness, notoriety and breach of promises, and played the “dialogue” game very well to show Pyongyang favours talks and peace unlike what has been said about it. North Korea began to destroy the main facilities for its atomic tests to show that it is serious in talks, but left the negotiations right when the US went back on its word under the JCPOA and continued its threats and humiliation and wargames. This way, Pyongyang told the world that it is the US that is dangerous, isolated and unreliable. Of course, we should wait and monitor both countries’ future reactions. The days ahead are of special significance and will show with hypothesis is more precise. We should wait and see whether North Korea will choose a fate like that of Muammar Qaddafi or will continue on the same path.